BEEF RECEIPES GOES IN HERE !!!! I used hoggie buns from the bakery. Slice them open and filled 6 with the meat mixture. Then each was topped with a slice of provolone cheese. This was placed under the broiler for 3 minutes. cooker with nonstick cooking spray. Place the sliced onions in the slow cooker. Combine flour, garlic powder, onion powder and pepper in a large sealing plastic bag. Add steaks, a few at a time and shake until completely coated. Heat the oil in a large skillet over medium heat. Add the steaks, a few at a time, and cook until lightly browned on each side. Place the browned steaks on top of the onions in the slow cooker. Pour 2 c. water over all. Cover and cook on Low for 8 hours or until meat is tender. Brown the ground beef with the onion until the onion starts to brown a little. Drain the fat, if desired. Season to taste. Put the meat mixture in a 6x8" baking dish and stir in the diced cheese. Bake at 350º for 20 minutes or until the cheese is melted and bubbly. * I used a combination of taco seasoning and Nacho Cheddar flavor Kernel Seasons but any seasonings you like will do. 1.Whisk together the chili sauce, lemon juice and grape jelly. Pour into slow cooker and simmer over low heat until warm. 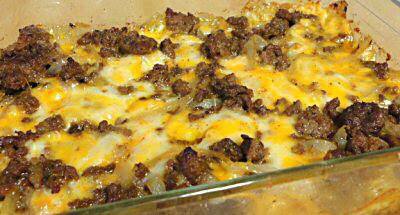 2.Combine ground beef, egg, onion and salt. Mix well and form into 1 inch balls. Add to sauce and simmer for 1 1/2 hours. Mix 1/4 cup cream of mushroom soup, ground meat, bread crumbs, egg , onions and Beazell's Cajun Seasoning. Shape into 6 patties, brown in skillet. Pour off grease. Stir in remaining soup and mushrooms. Cover, cook about 30 minutes or until done. Heat oven to 450°F. 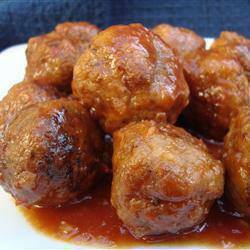 In small bowl, stir ketchup and brown sugar until mixed; reserve 1/4 cup for topping. In large bowl, stir remaining ingredients and remaining ketchup mixture until well mixed. Spray 13x9-inch pan with cooking spray. Place meat mixture in pan; pat into 12x4-inch rectangle. Cut lengthwise down center and then crosswise into sixths to form 12 loaves. Separate loaves, using spatula, so no edges are touching. Brush loaves with reserved 1/4 cup ketchup mixture. Bake 18 to 20 minutes or until loaves are no longer pink in center and meat thermometer inserted in center of loaves reads 160°F. Place the ground beef into a large mixing bowl. Add the grated onion to the top; set aside. In a separate small bowl, combine the ketchup, Country Bob's and chili powder. Remove and reserve 1/4 cup of the sauce mixture for basting and to use later as a condiment. Add the remaining sauce mixture into the ground chuck and onion; mix well. Spray a large baking pan with non-stick spray. Scoop out about 1/3 cup of the meat mixture at a time, forming into 16 balls and set them on the baking pan. Return 8 of them to the bowl and shape the remaining 8 balls into equal sized patties on the baking sheet. Top those 8 patties with a slice of the cheese. Flatten the remaining 8 balls into patties and place them on top of the cheese. Pinch the edges all around each burger to seal them closed and gently reshape. 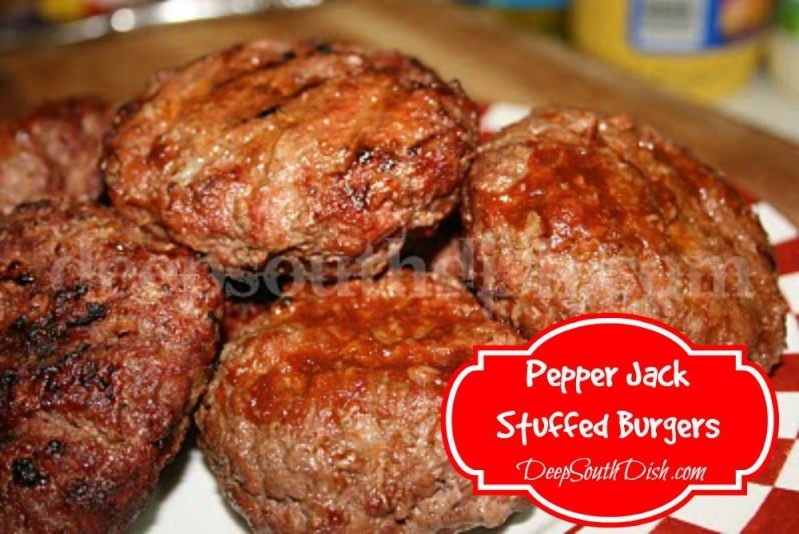 Place the tray in the freezer for about 15 to 20 minutes just to set a bit since these are enhanced burgers. While the burgers are chillin' in the freezer, butter each side of the hamburger buns, return them to the package and set aside. Pan fry or grill. How to Grill: Prepare the charcoal for direct heat cooking or preheat grill to high. Grill on the first side for about 6 minutes. Turn and cook for another 5 minutes. Brush with sauce and cook another minute; turn, brush the other side with sauce and cook an additional 1 to 2 minutes or until cooked through, or an instant read thermometer inserted into the side registers at least 160 degrees. Do not press on the patties while they cook! You will compact the burger and force out all of the juices, ending up with dry burgers. 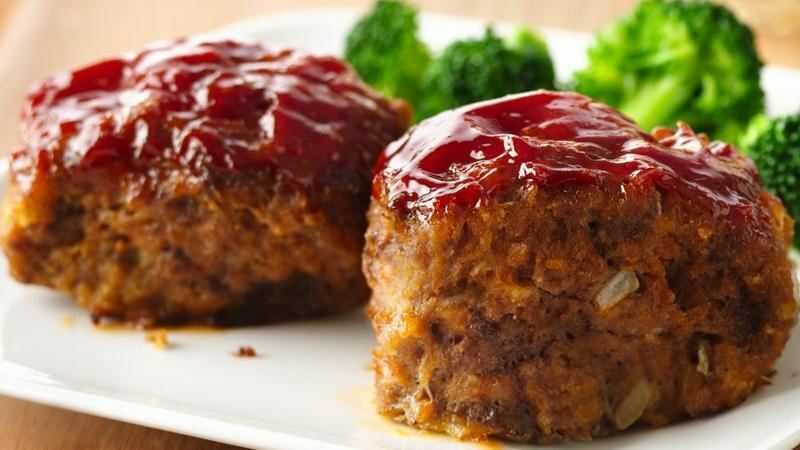 In the last couple of minutes of cooking, remove about 2 tablespoons of the sauce from the 1/4 cup you reserved, and brush the patties with the sauce mixture. Remove burgers to a tray and cover loosely with a sheet of aluminum foil to keep warm; set aside. Place the buns on the grill uncovered, just long enough to lightly toast. Keep an eye on them - they'll burn up quick! Serve the burgers with the remaining sauce as a condiment and any other desired toppings. Cook's Notes: Country Bob's All Purpose Sauce contains tomato concentrate, vinegar, sugar, molasses, onion, garlic tamarind and other seasonings. Can substitute any all purpose sauce found in the steak sauce area of your grocery store. Barbecue sauce may also be used. Additional Garnishes: Mayonnaise, BBQ sauce, lettuce, sliced tomatoes, Fire 'n Ice pickles or pickled jalapenos. Cook the bacon to crisp and set aside. Place the ground beef in a large bowl. In a separate small bowl, combine the brown sugar, steak, bbq and Worcestershire sauces, and Liquid Smoke, with the chili powder and cayenne. Add to the ground beef and use a fork to toss. Form into 6 to 8 large, tight balls and place onto a foiled lined baking sheet. Gently flatten and shape the patties and create a very slight thumb indention into them. 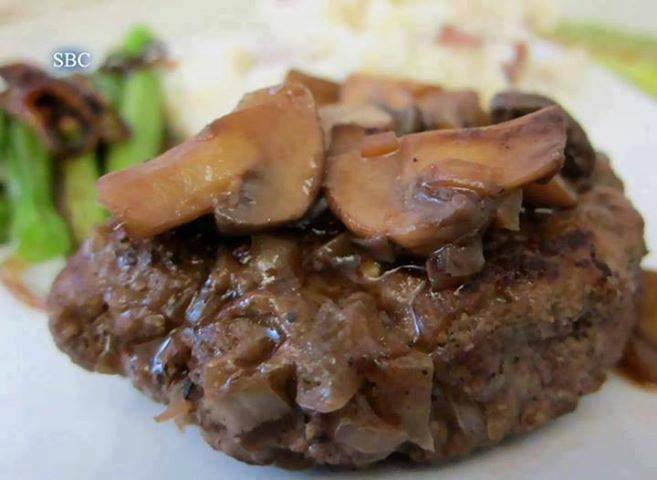 This will help the burgers from puffing up and becoming rounded instead of flat. Refrigerate for 30 minutes. Brush both sides of the onion slices with olive oil and sprinkle with salt and pepper; set aside. When ready to cook, grill the burgers on well-oiled grates, indented side up first, over direct and high heat, for about 3 minutes, or until seared and browned. Turn and continue cooking until done, another 2 to 4 minutes, or until done to desired level. Do not press down on the burgers! Meanwhile also add the onions to the grate and cook until lightly browned, turn and cook other side. Toast buns on the top rack of the grill. Place a thin layer of mayonnaise on both sides of the bun. Add the burger and top with BBQ sauce and pickles or jalapenos. Sprinkle with a pinch of shredded cheddar and top with grilled onion, tomato, bacon and lettuce. Serve immediately. Preheat oven to 350 degrees. Season the steaks on both sides with the seasoned salt, black pepper, Cajun seasoning, and paprika; place into a 13 x 9 inch baking dish. Sprinkle a couple of dashes of Worcestershire sauce on top of each steak and coat each with Country Bob's sauce. Cut the butter into very thin slices and scatter across the steaks. In layers, add the potatoes, then onion, carrots and bell pepper. Pour stock around steaks, cover with foil and bake for 1 to 1-1/2 hours, or until tender. Use a wide spatula to remove veggies from the top and set on one side of a platter. Remove steak to the other side. Serve with a side salad, if desired. Country Bob's All Purpose Sauce contains tomato concentrate, vinegar, sugar, molasses, onion, garlic tamarind and other seasonings. Braising steaks are best for this dish. 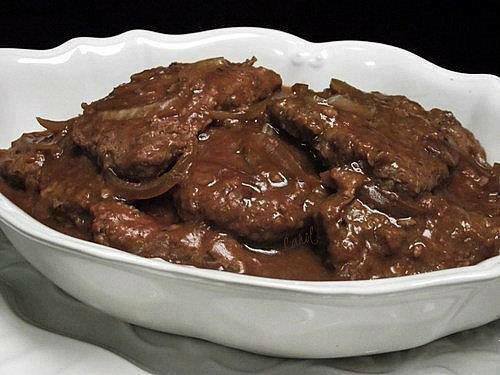 Braising is not recommended for top round (which is often just marked as "round,"), so use an eye or bottom round steak for this dish. You can certainly tenderize any braising steak with a meat mallet or other tenderizer first before seasoning, and cooking time can be increased as needed. Good braising steaks include chuck eye, chuck arm, chuck 7-bone steak, mock tender, chuck tender steak and flat iron. The potatoes are cooked unpeeled so that they hold together better, but feel free to peel them if you prefer. Variation: Omit the Country Bob's All Purpose Sauce, increase the Worcestershire sauce to 4 tablespoons, and slice a total of 4 tablespoons of cold butter on top. Crockpot: Place vegetables in the bottom of the slow cooker, add 1/2 cup of beef stock, broth or water. Season the steaks, sprinkle with Worcestershire sauce and Country Bob's sauce and place on top of the veggies. Add slices of butter, cover and cook on low for about 8 to 10 hours or until tender. Remove meat with a wide spatula.